I needed a powder foundation for touch-ups at that time, but had to settle with Precious Velvet Flawless Face Powder, which is the only powder makeup offered by Rouge Bunny Rouge. Why I didn't buy one from other brands? No, no, you don't understand. It had to be something from RBR since I was making a "Rouge Bunny Rouge haul". RBR Flawless Face Powder comes in a sturdy round case that looks like a mini hat box, and now I keep my barbie pins in it. The compact itself is simple and elegant with the usual fuzzy flowery prints that I adore so much. Unfortunately, it comes with a rather flimsy puff that is thin with little flexibility. I chose Piano Forte (002), which is a "pale milky beige with subtle apricot tones". This is the lightest shade from the four shades available. Actually, the color match is great. This is definitely a yellow-based color but just so enough to correct the uneven tones. It is probably the prettiest beige I have seen in a while. You can't really see anything on my arm, but this is how silky and light it goes on and melds with my skin. I put it on rather heavily, too. I was hoping RBR Flawless Face Powder would be enough to cover the blotchy uneven spots that would show often in the middle of day (or those super red cheeks after a few drinks), but it wasn't the case. I am not saying this powder is bad or anything, because it is quite great for what it is. It is just that Precious Velvet Flawless Face Powder is not what I was looking for except that it comes in a pretty compact that I can easily carry in my makeup bag. Naturally I put it aside and soon started carrying some other powder foundation. Then one day, when I used Flawless Face Powder to set my foundation, it finally dawned on me. 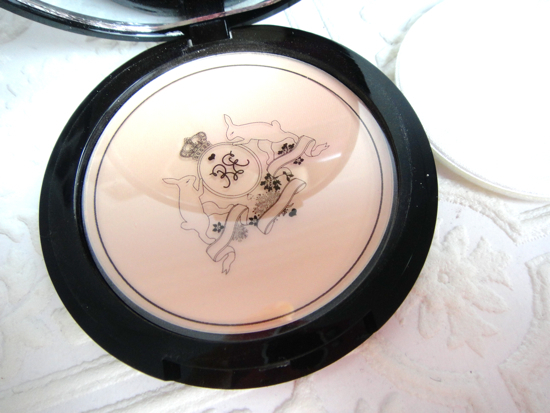 Rouge Bunny Rouge Precious Velvet Flawless Face Powder is a setting powder!! I never understood the "medium coverage" claim before, but it is true Flawless Face Powder adds a light veil of coverage which is more than I would get my translucent loose powder. 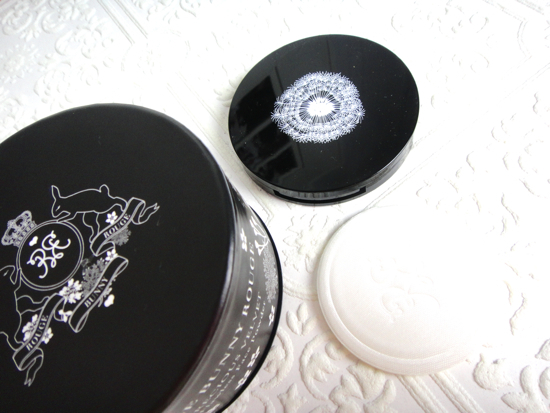 Unlike other talc based pressed powder, Flawless Face Powder feels much comfortable on since it contains rice powder. I have recently mentioned how it subtly corrects a foundation tone and evens out the complexion beautifully. Rouge Bunny Rouge Precious Velvet Flawless Powder is also great for "no-makeup" makeup looks. Since the finish is truly natural and non-powdery, I find it goes nicely with dramatic lip colors, too. It seems the price widely varies depending where you order from, but I got mine from Beautyhabit. I am not sure if I want to repurchase although now I am enjoying this pressed powder tremendously in this harsh winter. It is only because I prefer using loose powder to set my makeup in general, but I would certainly pack my Flawless Face Powder for travel. I would highly recommend this for someone with dry skin as well. 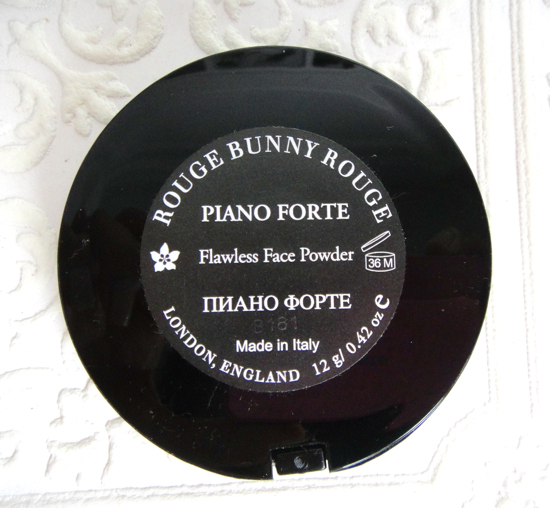 Have you tried Flawless Face Powder from Rouge Bunny Rouge? 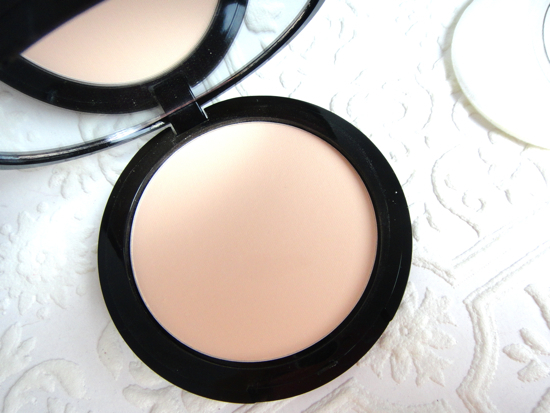 Do you use pressed powder to set your makeup? 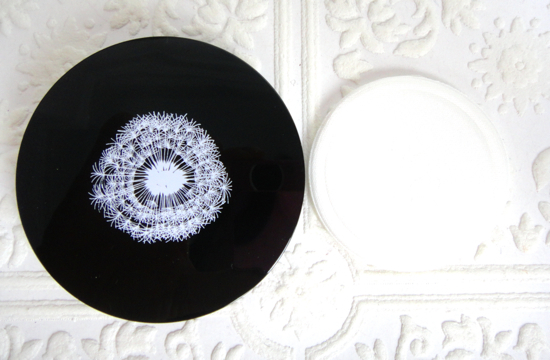 I gather the NARS pressed powder photographs well! I still have yet to try something from RBR, love the packaging of their products! I don't generally use pressed powder either, though I did love the one from Laura Mercier - it's great for touch ups and the coverage is really good too! Sometimes I like pressed powder for touch-ups if it provides decent coverage! I will consider the LM next time. Hey Lena, I love all the RBR stuff that I own, but I haven't tried this one yet! I do use pressed powder to set my makeup and touch up on my T-zone. Thanks for letting me know it's actually a pressed powder instead of powder foundation! The description is indeed a little confusing. Hey Suuny, this would be another great example of RBR excellency in pressed powder formulations. I totally agree! The price range is not something we can liberally click away online without swatching stuff. I'm now really curious about their base makeup lineup! I didn't know this brand, I like so much the packaging, is so cute and elegant! Oh, I remember loving the Rimmel Powder. It does great job controlling oil! This sounds like a great one! I use my Guerlain Meteorites to set foundation and that works well for me! But this has a bit of extra coverage which is kind of cool-might have to look into this at some point! You are lucky if you can kill two birds of setting makeup and highlighting with the ballz! I love the glow that Meteorites gives but still need something to set my foundation first. I think you'd like this powder. It is not drying at all and has one of the best textures! i haven't tried this product but i'm glad you figured out what it was meant for. i find loose powders sort of annoying with the sifter and everything so a pressed powder is nice for me. i think i would totally use this during a no-make up day. its sort of why i use the mac careblend powder though from the sounds of it, the careblend would have a little more coverage. I am glad, too! A lesson learned for me - "Thou shall not misunderstand thy makeup". Oh, the packaging is really pretty here! I've never used a pressed powder before. I don't have dry skin though, so I'm not sure if this would work for me, haha. In terms of formula, totally a dream but a setting powder sounds actually pretty good to me, I'm sorry you may not have realized! I always top my foundation off with powders but often a light coat of foundation powder which can be a bit heavy. I've yet to pick up anything from them but I think I'll probably want a face product as I feel it's more worth my money! Thanks for reviewing, that color is a very pretty light shade, not too orange either! I'm so used to setting with loose powder now so it was a quite different experience with this pressed powder. I must say I like this, too! 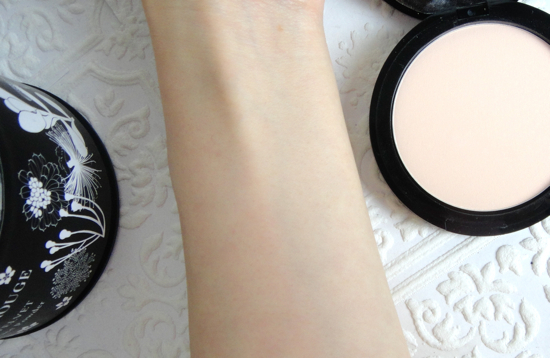 Rouge Bunny Rouge seems to do very well on pressed powder formulations. I just realized not too long ago the Meteorites controls oil quite well! The packaging is so cute and the names... the names! They're so elegant! I used to use a pressed powder to set my foundation, but these days I go back and forth using loose, pressed, and a luminizer. I always use pressed powders to set my make-up, I think I'd love this one too. Yet to try RBR, but I so love their packaging!